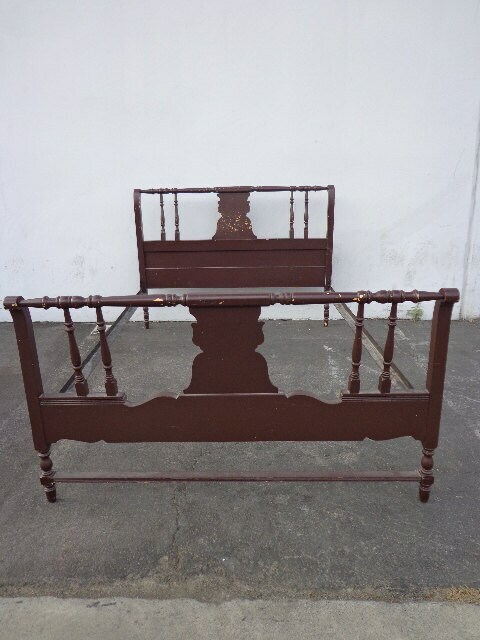 Super amazing vintage bed complete with headboard, footboard, and side rails. 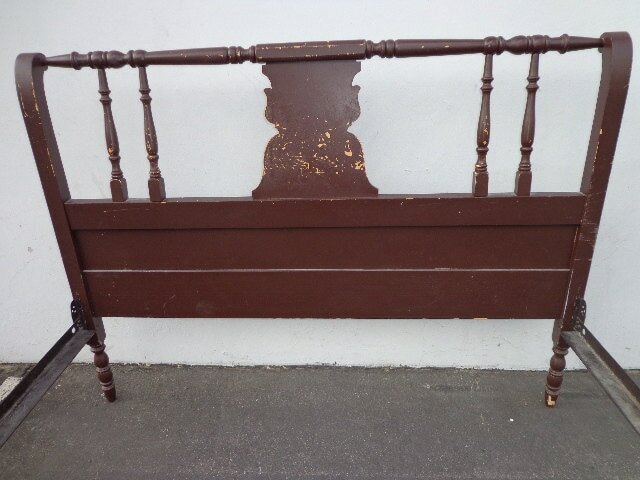 Solid wood that has been painted several times and perfectly distressed over time and with use. Features a pretty shape and gorgeous hand carved details, ONE OF A KIND! 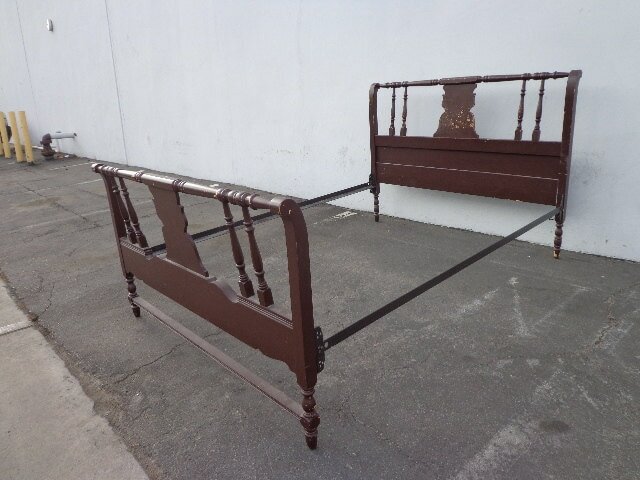 Frame will accommodate a full size bed. 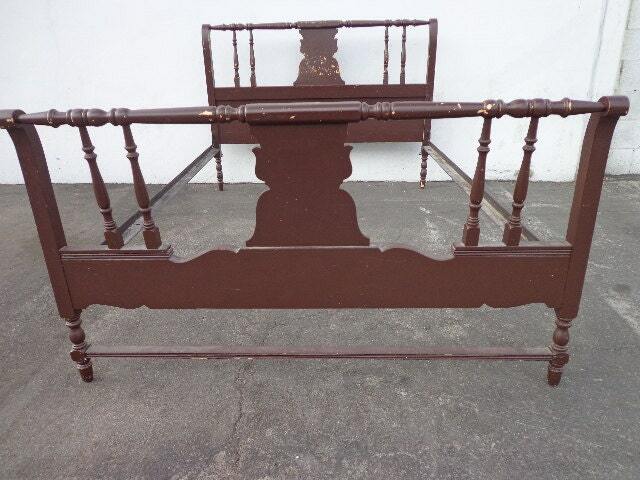 This bed will enhance any bedroom setting and be the focal point of any room. 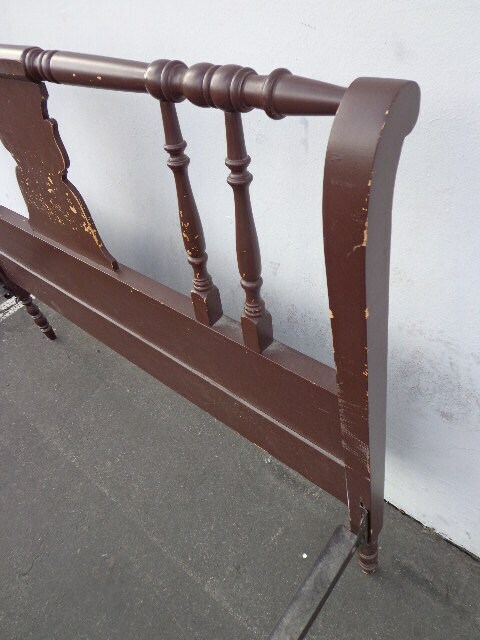 Needs to be refinished and will look so beautiful painted a new, bright color. Super solid and sturdy frame.